The French wine industry coined the word “terroir” as a way to romanticize not just the wine but the very ground from whence the wine is derived. Terroir is defined as “the characteristic taste and flavor imparted to a wine by the environment in which it is produced.” Ever see that documentary “Somm?” The sommeliers featured in that remarkable film were able to determine the type, region, and overall composition of a certain wine completely blind. While the concept of terroir may be certainly verifiable in the wine world, debate is ongoing on whether or not it is in the whisky world. Industry voices, perhaps recognizing the marketability of the concept of terroir when selling their brands, seem to embrace the term, while independent critical voices are skeptical. I have found kernels of truth on both sides. One of the reasons why terroir is so difficult to apply to Scotch whisky, for example, is that no region is as clear cut in terms of distinct, earth derived flavor in relation to others. 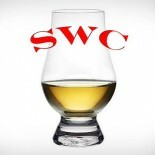 Islay whiskies, while undoubtedly the reigning smoky, peaty whiskies of the world, are not required to be anything near smoky, and regions far away from Islay are free to make single malts a hundred times more smoky. While Speyside certainly contains light, fruity whiskies, what is the real dividing line between those and malts of the Highlands? What about the overwhelming flavor influence of oak on a brand’s house character? On the other hand, the “sense of place” in a whisky’s terroir is not completely lost. Do the coastal distilleries of Islay and the Highlands not impart a sense of place when their whiskies display a seaside, salty impression? Does the heathery peat of Orkney distinguish itself from the briny, medicinal peat of Islay? Terroir is romantic for a reason, and therefore useful, but I have yet to find a whisky writer that can distinguish from differing strains of barley as one could with grape varietals. Maybe there is, and I have no idea what I’m talking about. 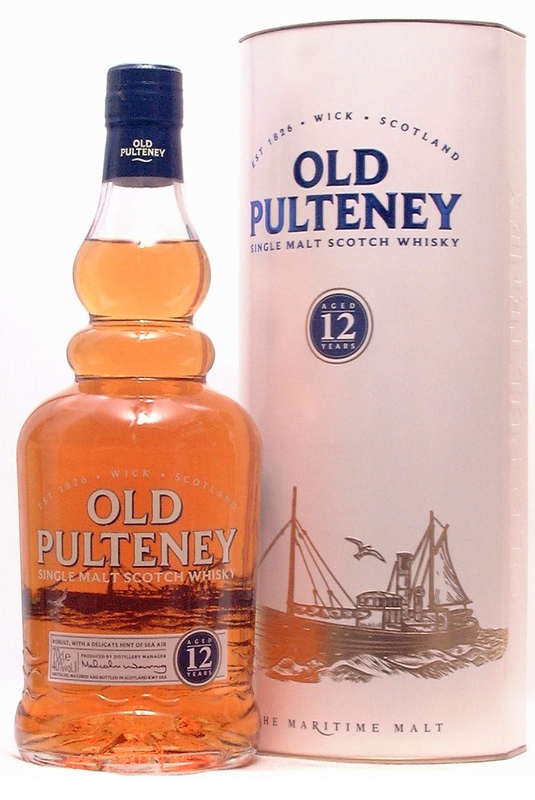 Old Pulteney 12 may have a “sense of place” when it comes to connecting its flavors to the coastal fishing town of Wick on the Scottish mainland. Technically, this malt is considered a coastal Highland and is distilled at the most northern mainland location in Scotland. The savory, salty sea air one detects from a casual nosing is not by accident. Distilled in alembic pot stills with enormous bulbs, Old Pulteney sees a lot of reflux, yet is condensed in traditional worm tubs that leave in more flavor. We are high on esters but still retain some tough leather like notes, a weird approach indeed. Bottled at 40% ABV, modestly colored and filtered, and aged in predominantly ex-bourbon casks, one might think there isn’t much on the surface here, but let’s see…. Nose- Simple savory notes of the sea. Lemon rind. Honey and salted caramel with time. Ripe banana and vegetal feel. Taste- Honey sweet with citrus rind. Surprisingly creamy with some weight. Departs a bit form sea side feel, but those notes remain. Finish- Medium length. Nice medicinal feel with leather polish. Light spice with citrus peel, again. Touch of smoke. Lovely. Comment- This malt will hold your interest, if anything. An approachable offering with some contemplative subtleties to it. Some quirks but the savory is nicely balanced with some sweet peeking through. Agree? Disagree? Let us know in the comment section below.